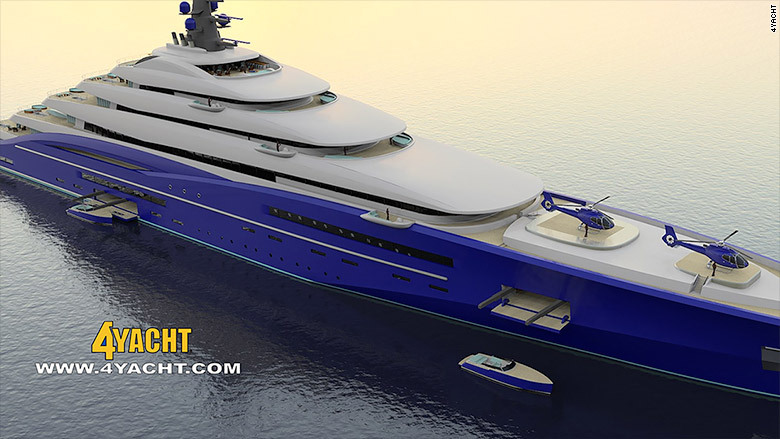 A Florida yacht dealer has plans to build a 656-foot "gigayacht" that would be the world's largest private pleasure craft. The Double Century, as the vessel is known, is a monstrosity of luxury. It has all the bells and whistles that the uber-wealthy would want, including room for two helicopters (because one just won't do), multiple swimming pools, a theater, and submarine storage (you have to bring your own sub). 4Yacht, the company hoping to find a buyer, says $750 million is a good "negotiating point" for the ocean-going mansion. "What Double Century needs is someone with vision, someone who wants to give life to an exceptional vessel, make it their own and put a distinctive stamp on the luxury yachting industry," said Craig Timm, president of 4Yacht. Related: Why is everyone in Monaco so darn rich? 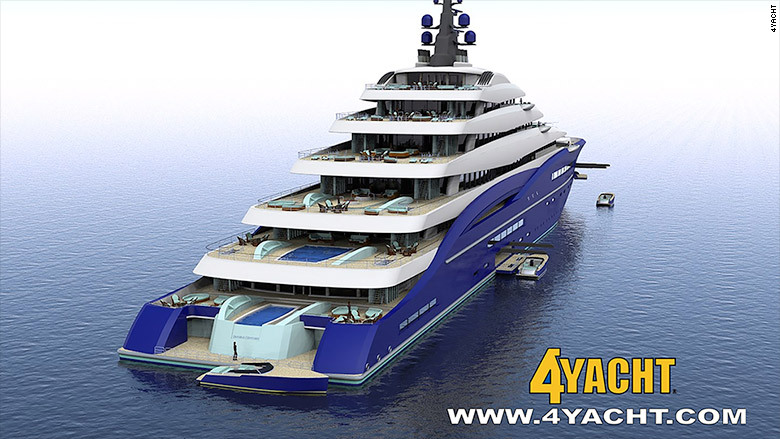 Currently, the world's largest superyacht is the 590-foot Azzam, which is reportedly owned by the president of the United Arab Emirates Sheik Khalifa bin Zayed al-Nayan. 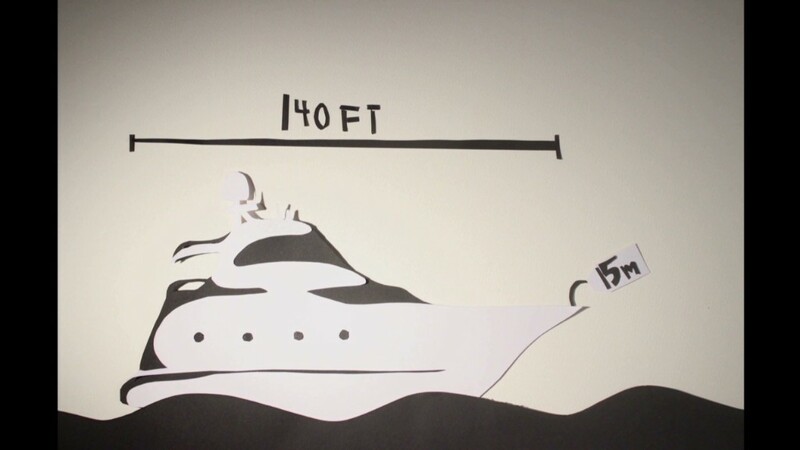 The Double Century, designed by superyacht specialist Christopher Seymour, would be about 65 feet longer, or twice the size of an American football field and just as wide. It has nine decks that rise 88 feet above the sea. The floating folly is so big that it comes equipped with a GPS phone app that passengers can download so they won't get lost. There are multiple VIP suites for the owners and luxury cabins for 50 passengers, as well as room about 100 crew members. What makes a superyacht 'super'? A party boat of epic proportions, the Double Century has a theater with a stage for live entertainment, a piano bar and "disco," as well as New York and Monte Carlo-style cafes. When guests aren't partying, they can relax in a spa or soak in one of two large Jacuzzis near an open bar on the rear of the ship. The dealer says the ship can be built in about four years once a buyer is lined up.